Funding has been secured from the scheme which aims to bring people together with the aid of design professionals to improve local communities. Operating under the banner of the Re-create Scalloway project, workshops are set to take place at Scalloway Public Hall on Friday 18 and Saturday 19 May where members of the public can meet with consultants GL Hearn. The workshops will take place between 2pm and 4pm following drop-in sessions from 11am to 2pm where more information related to the image change can be sought. Councillor Mark Burgess, who lives in Scalloway, said: “These events are opportunities for anyone to contribute to future plans for Scalloway to make it an even better place to live, work, visit or study. 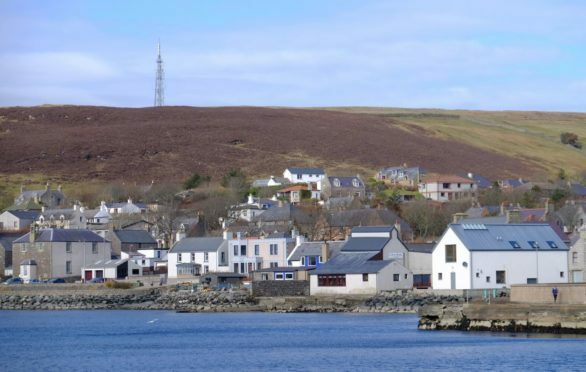 Scalloway is one of 19 communities in Scotland to receive funding under the Making Places initiative with the name change, Re-Create Scalloway, coming on the back of a competition involving members of Scalloway Youth Centre. Full details of the project will be included in flyers currently being circulated around the Scalloway community. A questionnaire for those who wish to express their views on the future development can be accessed at www.scallowayplaceplan.com. Further workshops have been earmarked for June 13 and June 15 to follow up on any queries or issues raised from the initial drop ins and activities. A draft plan is expected to be submitted towards the end of the summer.